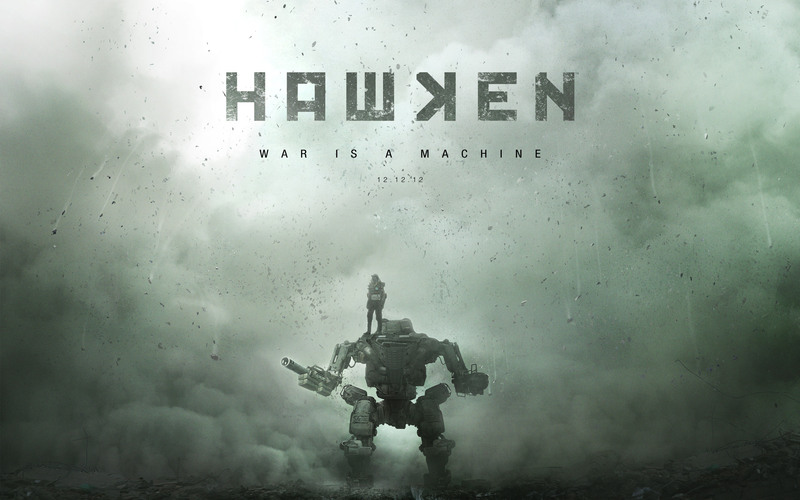 Hawken has been out for a while now, but it seems that there has been a resurgence in interest since it popped up on Steam, and for good reason, too: the game features fast-paced mechs, interesting game modes, and a team-based focus (unless you’re playing free-for-all Deathmatch). With new blood entering the beautiful, free-to-play mech combat arena, it’s important to understand that Hawken isn’t a traditional shooter. Lone-wolf style running around will only get you killed most of the time, unless you run into someone else who has strayed away from his squadron. And unlike other shooters, you always want the odds on your side. While winning a 2-on-1 is possible with some good juking, it’s much easier to stick with your team and ensure the numbers are on your side, particularly if you are new to the game. If you still find yourself on the wrong end of a TOW missile too many times, check out our tips, which might just save your life and help your team to victory. Positioning is key in Hawken. A corridor or an open area with little cover can become a killing field. It’s all about knowing the maps and understanding where your mech excels and where it fails. A quick agile mech like the beserker doesn’t want to get shoehorned into a tunnel; he wants plenty of room to zip around and nuke down his opponents. When you looked at the scoreboard, pay attention to the symbols next to your teammates’ and oppoennts’ names. This conveniently gives you an at-a-glance look at the classes of your opponents. From there, use common sense: you don’t need more than one technician on your team (with a few exceptions), nor do you want your entire team to be composed of big, lumbering mechs or burst damage light mechs. Exploit the weakness of your opponents’ line up. Yes, mechs in Hawken cost more money than they should, but instead of buying internals that don’t do that much, save up your credits and buy a new mech. And while mechs might cost a pretty good amount of money, the game does a pretty good job cycling out which ones are available for test drive. Even though you don’t gain experience on the mech, test driving a new mech might give you something to work towards and completely change how you play the game. Siege is a fantastic game mode (and you can also earn a ton of credits to buy new mechs), but if you don’t know what you’re doing, it can be confusing. Siphon energy from designated energy points on the map and then return them to your base to launch your battleship. Your battleship does damage to the enemy’s base, and shooting down battleships is easiest by controlling the AA battery on the map. So with that in mind, figure out if the enemy team has control of the AA site before launching your own battleship or else you’re dooming your progress in siege mode before it starts. Also, take note of the amount of energy your team has already collected instead of just rushing to energy sites. If your teammate is already on his way back to base with the required amount, head to the AA, but don’t rush in if the odds are against you. While this may seem counter-intuitive to point 1, flanking can completely change the tide of battle when done correctly. If it’s going to take you more than a handful of seconds to get around the enemy, then it’s probably not worth it to flank your opponents as the fight would already be over by the time you get there. However, if you’re in position when a fight breaks out, consider moving in behind enemy lines. Sure, sometimes you might get killed, but if you’re good, you could take down one or two people before you go down. Just focus fire down either the mechs in the back or any mech that is close to death. Once you master these basics, the next best thing to do is find a group of friends to gather up and play. Preferably 6 people. Hawken is one of those games that’s far better with a team that you can trust than with random people that may or may not know what they are doing.